Hood River, Ore. – March 19, 2019 – On April 20, 2019, Hood River will again be the epicenter for the region’s hard cider scene, thanks to the sixth annual Hood River Hard-Pressed Cider Fest. The 2019 festival – which appropriately takes place at a fruit-packing house in the heart of Hood River Valley, surrounded by fruit orchards in bloom – features 28 local and regional cideries, including five that are new to the festival. Tickets are available now at www.hoodriver.org. The participating cideries will be sampling more than 50 original ciders that showcase the wide variety of styles coming out of the Pacific Northwest cider scene. “For anyone who wants to get a taste of the region’s fantastic hard cider scene, the festival is the place to be. Cider experts and novices alike can discover new favorite ciders and cideries, plus have a great time listening to live music, mingling with friends and taking in the orchard views,” said Mike Glover, president/CEO of the Hood River County Chamber of Commerce, which produces the event. Festival-goers will be able to sample food from local restaurants, including Parkdale’s Apple Valley BBQ, Hood River’s Michoacan Sports Bar & Grill, and Portland’s The Local Grind. The daylong event also features arts and crafts vendors and a lineup of live music. expanded interactive kids’ zone, hosted by Our Children’s Place Academy, with games, crafts and cider-centered projects. And while animals are not allowed at the event, there’s a new “dog parking” service just outside the event gates, thanks to Kind Animal Services. Space is limited and there is an hourly fee. To reserve a spot for your pooch, email contact@kindanimalservices.com. 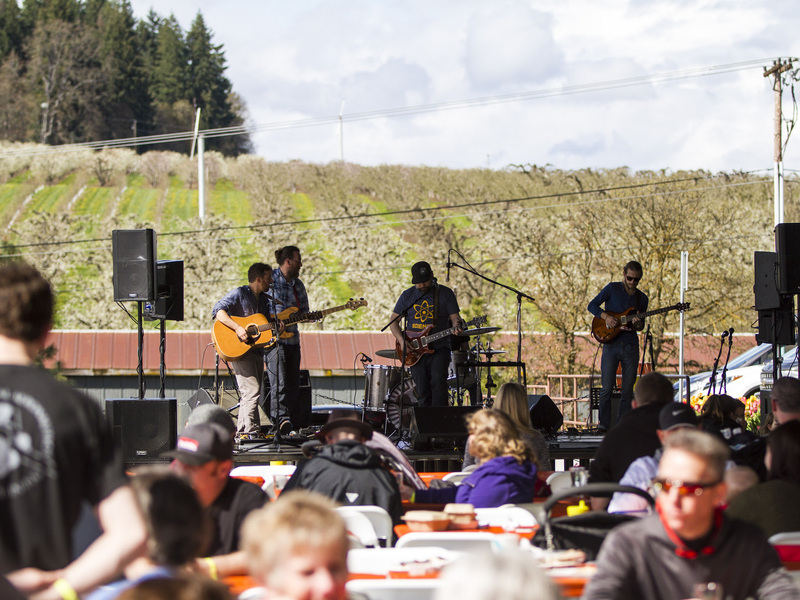 Hood River Hard-Pressed Cider Fest is the anchor event for Hood River Valley Blossom Time, a monthlong celebration of the beauty and agricultural heritage of the area. For a list of top springtime activities in Hood River, go to hoodriver.org/hood-rivers-top-springtime-activities/. 12 Bridge Ciderworks Oregon City, Ore.
1859 Cider Co.* Salem, Ore.
2 Towns Ciderhouse Corvallis, Ore.
Avid Cider Co.* Portland, Ore.
Bauman’s Cider Company Gervais, Ore.
Crush Cider Cafe Hood River, Ore. Double Mountain Brewery Hood River, Ore.
Draper Girls Cider Company Parkdale, Ore.
Finnriver Farm & Cidery Chimacum, Wash.
Fox-Tail Cider Hood River, Ore. The Gorge White House Hood River, Ore. Happy Valley Ciderworks* Clackamas, Ore.
Jester & Judge Stevenson, Wash.
KYLA Hard Kombucha Hood River, Ore.
Legend Cider Company The Dalles, Ore.
Portland Cider Company Portland, Ore.
Reverend Nat’s Hard Cider Portland, Ore.
Stone Circle Cider* Estacada, Ore.
Tieton Cider Works Yakima, Wash.
Tumalo Cider Co. Bend, Ore.
WildCraft Cider Works Eugene, Ore.
$10 – Entry only. 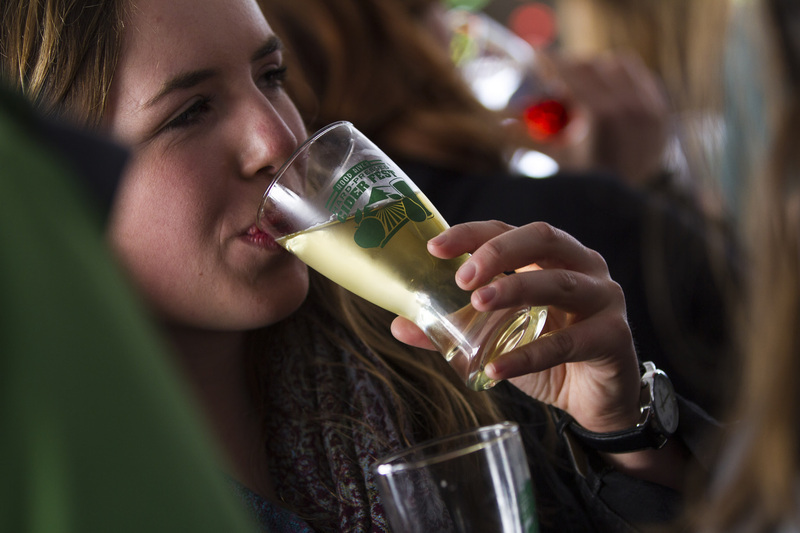 Adult entry into Cider Fest event; ages 20 and under are free. Does not include commemorative glass and tokens.